12i is a nod to the inventors of film animation, a modern interpretation of the traditional zoetrope* using today’s technology. A humorous and poetical back and forth between past and present. 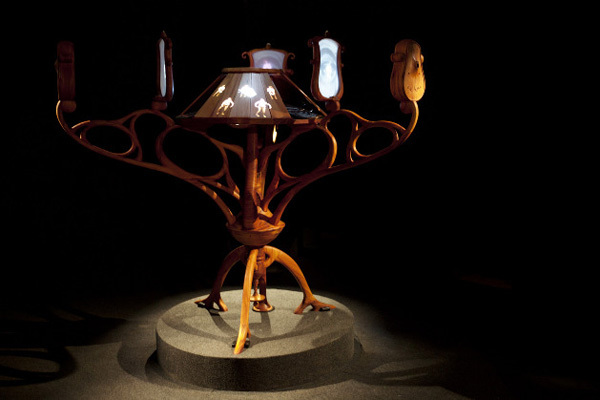 The installation aims to immerse the audience in a magical universe by giving them the lead role in the “wheel of life”. In 12i, participants are invited to create their own dance move animation in 12 images that will be displayed on a modernized zoetrope, an augmented sculpture mixing sounds and visuals. 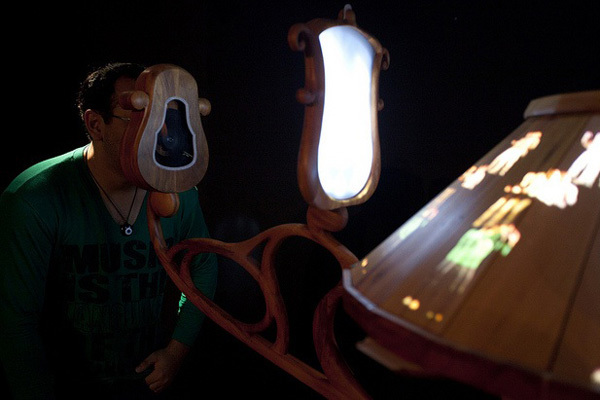 12i is an interactive and participative sculptural installation fed by participants personal animations. 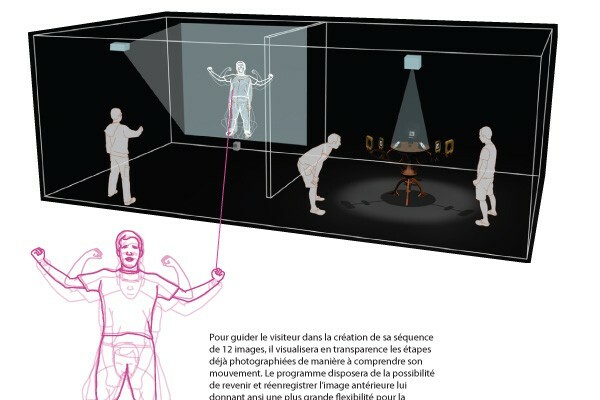 The installation takes place in two parts, the capture studio (REC) and the cinematic sculpture (PLAY). 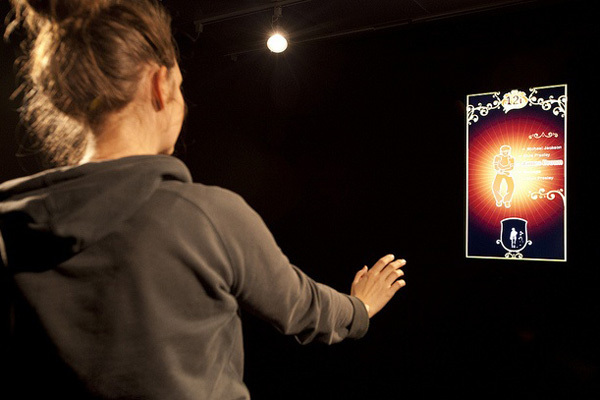 In the REC space, the subject is asked to record their own dance move animation in a sequence of 12 images through a screen-camera display. 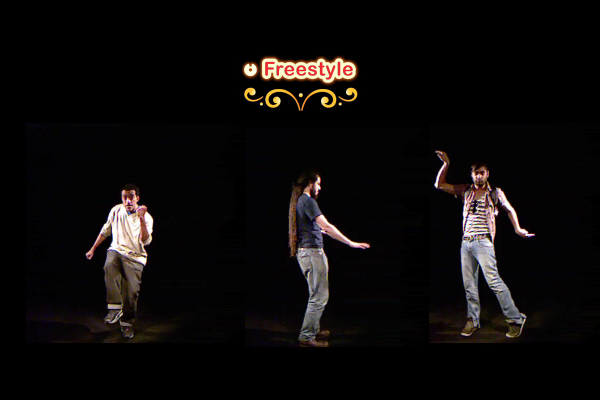 They can choose between a selection of themes or create freestyle animations. After recording a sequence of 12 images, the subject receives an ID ticket and enters the PLAY zone with the cinematic sculpture. When scanning the ticket on to the 12i zoetrope, the sculpture displays their personal animation combined with the one of other participants with the same theme and mixed with sound and visuals. 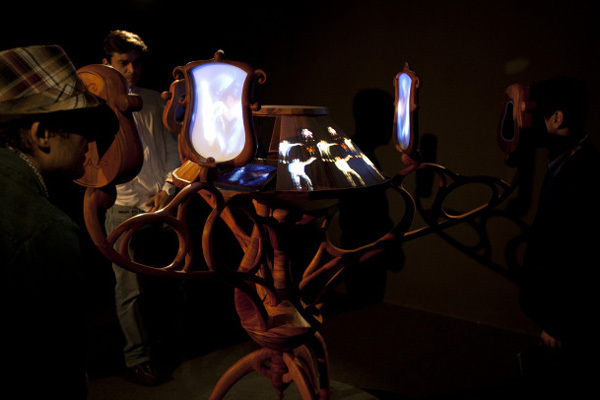 Processing real time content, 12i zoetrope provides an interactive display of audio-visual elements activated by the audience. 12i faithfully applies the principles of classic animation through splitting a movement into 12 static images in order to make a perfect loop. It is combining the working of a zoetrope - which is the rotation of 12 images giving the illusion of movement - with today’s technology. 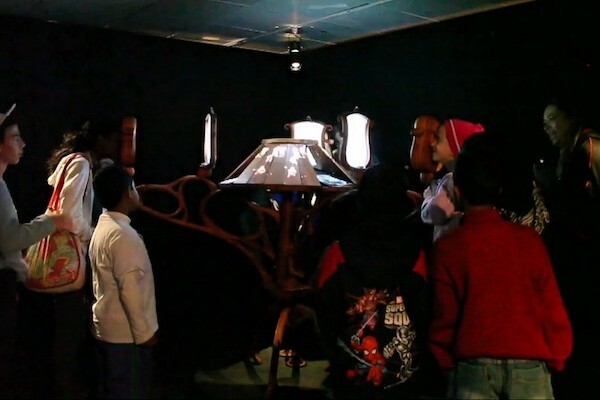 As when the zoetrope was invented, 12i applies the phenomenon of persistence of vision, revisited by the use of 2 projection sources to produce the illusion of movement thus creating a magical experience. 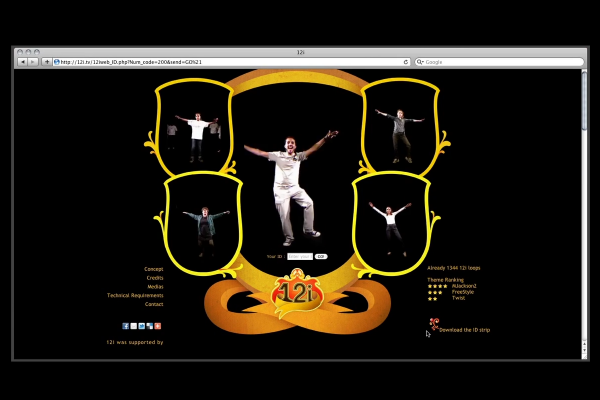 The installation is completed by the real time web sharing of users' animations on 12i.tv. * game invented in 1833 by William Horner, based on a device that produces an illusion of action from a rapid succession of static pictures. 12i has received the support of Rumos Itaú Cultural and has been hosted in residency at iMAL.